I love the stripes and the hexagons. Adorable pic. Lovely colors. Exceptionally lovely! 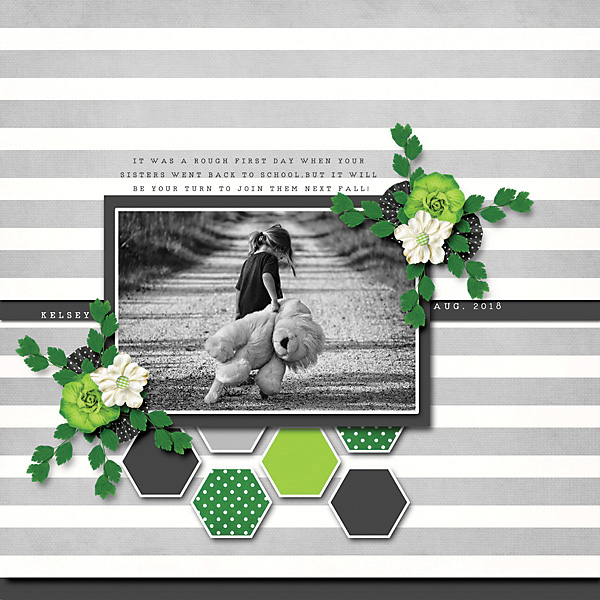 I love the color scheme, the background paper you used with the black paper strip and the hexagons on your page!